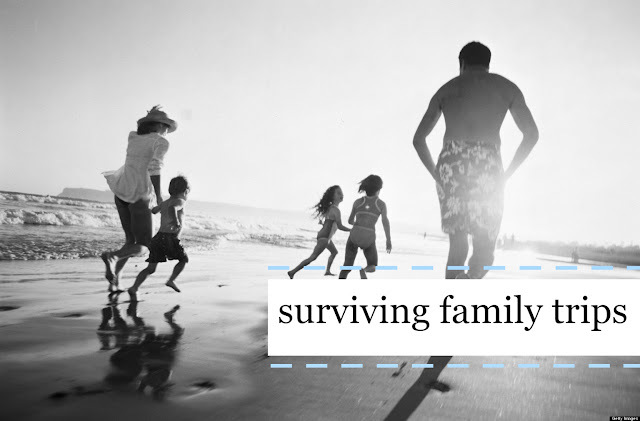 Traveling With The Family - emma and co.
Converse | Kind of obvious, but long car rides and waiting in airports are the perfect chance to have deep conversations that don't always get proper attention at weekday dinners. I've found that getting older, parents are a lot more likely to open up about their life. Something that really changed my perspective was thinking about how many of out family trips are my parent's only vacations (aka stop picking fights with siblings and complaining). Plan | Things like packing properly, having snacks on hand and bringing things for little siblings to play with make a huge difference. Laugh | Sometimes stuff goes wrong and will hit the fan. It's reality, but there is something about crazy travel stories that get more funny over time. If everything went perfectly, then there wouldn't be much to laugh about!